Tuna Tataki: lightly seared tuna steak, white radish, lemon, chives, sesame seed and yuzu ponzu dressing. 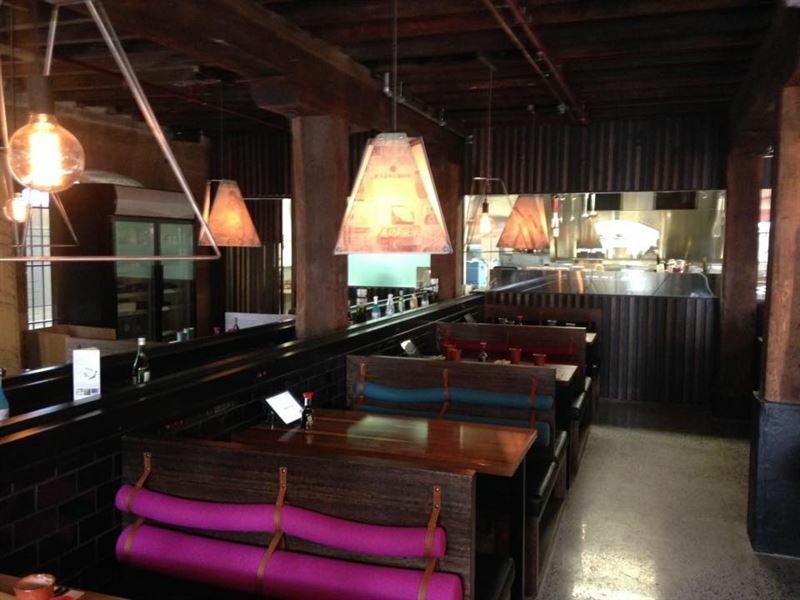 Set in the trendy Salamanca Market precinct in the heart of Hobart, lies Kosaten Japanese restaurant. Styled with an eclectic mix of artwork set against an industrial fit out, overhead pendent lighting, moody deep tones and intimate booth seating, combine to create an ideal space where meals can be shared with ease. 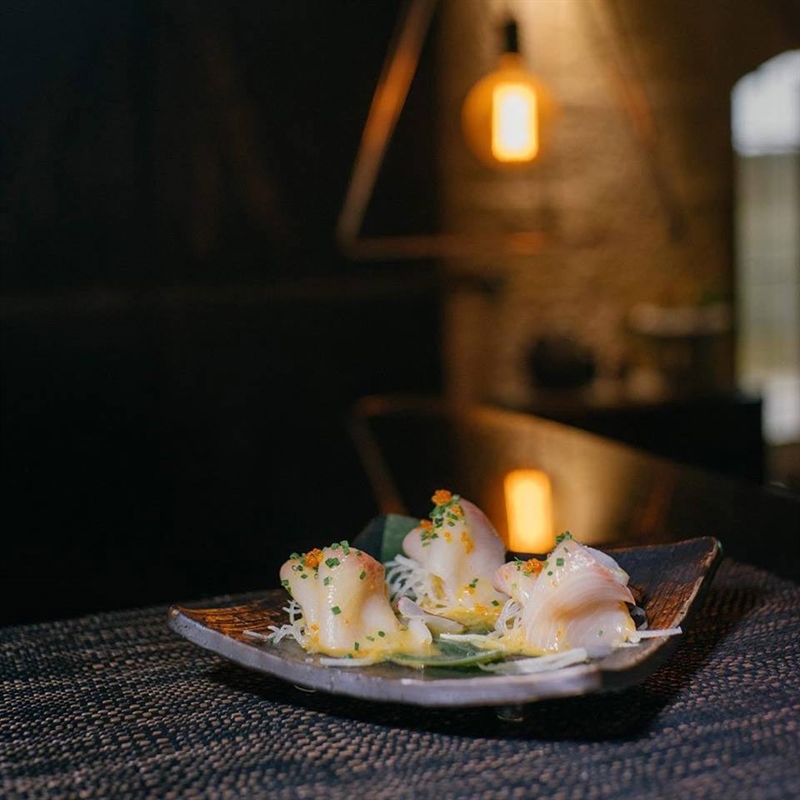 Offering a state-of-the-art, modern take on onsite food delivery, Kosaten offers diners tempting dishes bursting with colour and refined skill such as the Aburi eel with teriyaki sauce, carrot, cucumber and Camembert cheese, arriving to the table via a moving train. Meat lovers will not leave hungry as premium, succulent Wagyu beef is lightly seared and served with asparagus sauce and slivered almonds, paired ideally with a glass of sparkling sake.